One thing is certain about Maine: there is no shortage of history in this beautiful New England state. Come explore these historical spots that played significant roles to the residence of this awe-inspiring state. Dating back to 1720, this is one of the oldest prison buildings in the United States and one of the oldest public buildings in Maine as well. It was designated as a National Historic Landmark in the 1960s.The stone and wood structure of the main floor houses a cell block, dining room, kitchen, and parlor room. The upper floor holds three individual cells and a central chamber. In the 19thcentury, an extension was added to include bedchambers for the warden. In the late 1800s, the building was used as a school, warehouse and boarding house until 1900 when it was converted into a colonial museum. It continues to operate as the museum today with daily tours available. As a child in the late 1800’s, artist Winslow Homer and his family fell in love with Prouts Neck, Maine. The small seaside community soon became the location for the family’s summer home. When Homer decided to relocate permanently from New York, his home for 20 plus years, he obtained an architect to convert a carriage house into his primary residence and art studio. The 1500-square-foot building sits on the rocky coast and has magnificent panoramic views of the Atlantic Ocean. In 1966, the Winslow Homer Studio was declared a National Landmark. For information about tours and to purchase tickets go to portlandmuseum.org. Since the early 1800s, the Portland Observatory has offered enchanting views of the city’s busiest harbor. The landmark serves as a symbol of the city’s rich maritime history and heritage and is the only remaining historic maritime signal station in the United States. In 1807, Captain Lemuel Moody ordered the construction of the observatory. 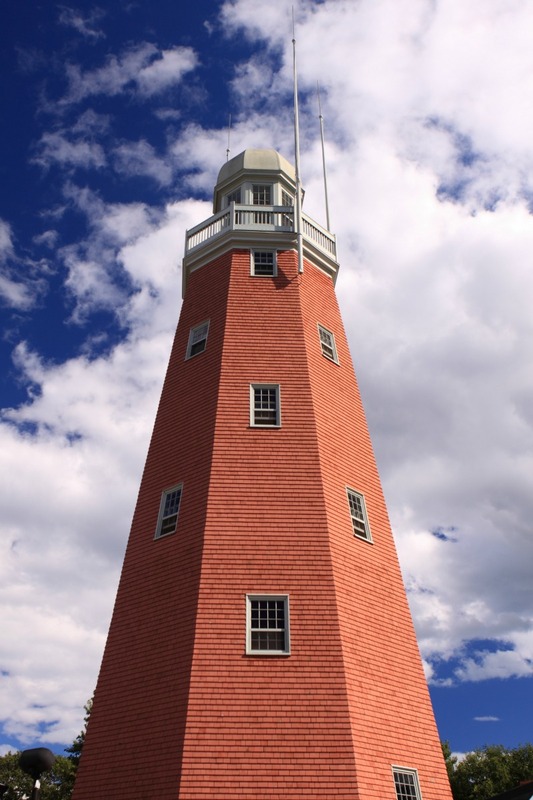 At the time the 86-foot high tower was designed to serve as a communication station for the busy harbor. The powerful telescope installed at the top of the tower could clearly see ships as far as 30 miles out from the harbor. Local ship owners paid Moody $5 a year to alert them when their ships were approaching the harbor.